The club was created by a group of bikers who hung around a cafe in the city. 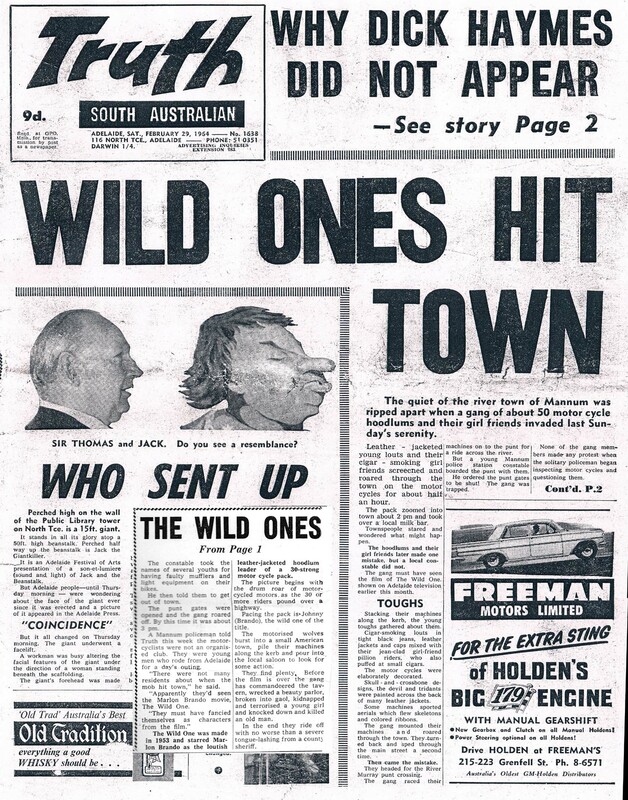 After some bad publicity on a weekend ride (see story), they were encouraged to become a registered club and the Phoenix Motorcycle Club of SA was founded in March 1964 with 84 members. It was then affiliated with the Auto Cycle Union of SA (now Motorcycling South Australia) and in 1978 became an incorporated body. At first the club ran scramble meetings on a track they created at Brooks Gully (near Tanunda) and in the mid 1970′s the move was finally made into road racing. 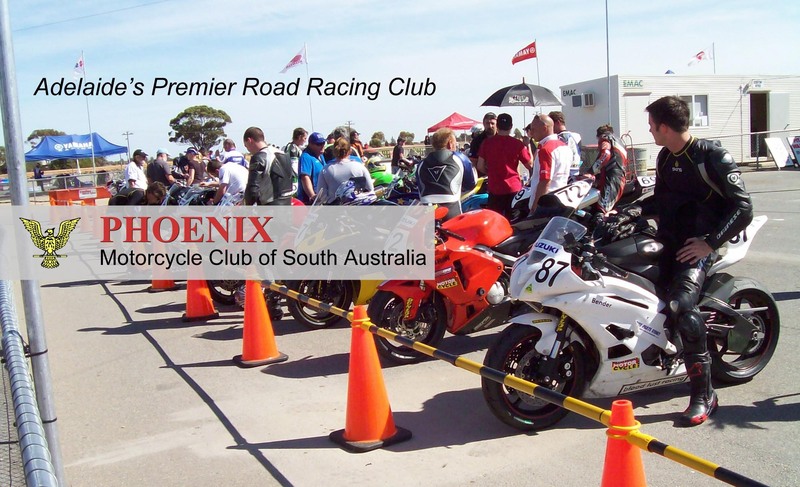 The club quickly became the premier road race club in Adelaide growing to a peak of 213 members in 1978. The Club held a number of dances in the late 60′s and our Annual Fancy Dress cabaret was held 1976-1991 at halls in Kilburn, Woodville and (after those councils refused to hire any more halls to us) the Hungarian Club at Norwood. Since its formation in 1964, the Club has held meetings in a number of locations. The first meeting took place in Ma’s Café, Tavistock St, Adelaide followed by a rented hall at Wayville. When attendance at meetings fell to about a dozen regulars, they decided that meeting in a hotel was cheaper and easier. In the boom years of the late seventies, there were so many people going to the fortnightly meetings that the hotel had to put on extra staff to cater for the crowds. August 2014 The Buckingham Arms hotel, Gilberton. See the sub menu for articles written by members about earlier days in the club and magazine stories about some of our prominent members.